Customized scissor lift, OEM scissor lifts, slab scissor lift, manlift, China scissor lifting AWP MEWP factory, manufacturer. We accept customized scissor lift orders, articulating boom lift orders, telescopic boom lift orders. It is widely used for the equipments installations and maintenance at the following places like construction sites, workshops, warehouse, granary, bus/railway stations, hotels, airports, gas station and aerial pipeline. Add: Runshare industrial park, Lingang New Industrial Zone, Yueyang city, Hunan province, China. 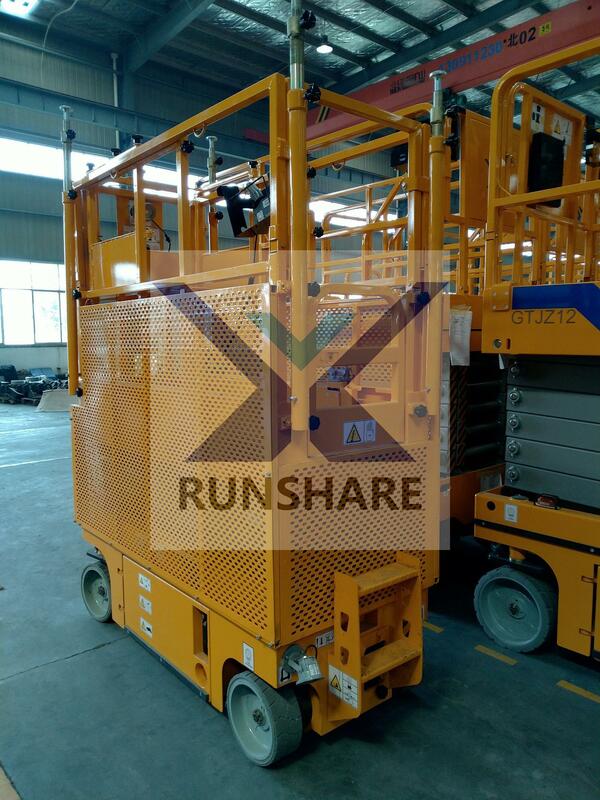 Previous: Customized Scissor Lift For A Domestic Customer. Next: Runshare Held A Meeting Of Q1 Marketing Summery And Q2 Work Plan.